Parasailing in Cabo is an exciting thing to do while on your vacation. You will be towed behind a boat while attached to a parachute style wing called a parasail wing. 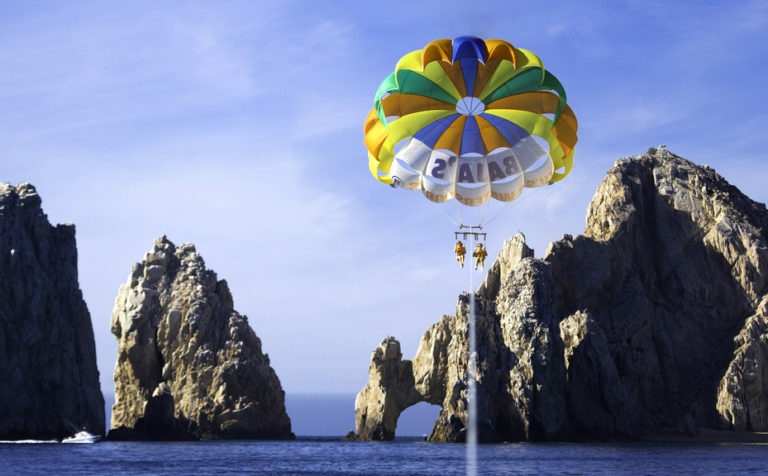 The parasailing will be definitely one of the most fun things you will do during your vacations in Los Cabos. But part of the fun of vacation is safely pushing yourself … Sigue Leyendo Parasailing is the best thing you’ll do on your Cabo vacations.